If you would like to learn about mindfulness and meditation on a 1-1 basis, I offer short courses each lasting an hour. To get the most out of your course you will need to set aside around 15 minutes every day to meditate and practice the mindfulness techniques. As the course progresses you will naturally want to do more, as you will find that you have more time to dedicate to yourself. Clients often report that their perception of time changes as the course progresses. These courses are bespoke and will be tailored to you and your needs. You will learn how to bring awareness to the present moment through meditation practice and mindfulness techniques. Your sessions also include course notes and mp3s. I am also a qualified and insured clinical hypnotherapist. Hypnotherapy is a great tool along side mindfulness and I can discuss this with you prior to your first session. All courses are bespoke and I tailor courses to suit you. 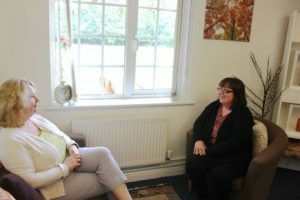 Courses are held at Maple Leaf Counselling Centre, Yew Tree House, 162 Illshaw Heath Road, Hockley Heath, Solihull, B94 6DL. Courses can also be arranged in your place of work. (T&C apply). Please call Ceinwen on 07842 129412 or email: ceinwen@solihullmindfulness.com to book your course.